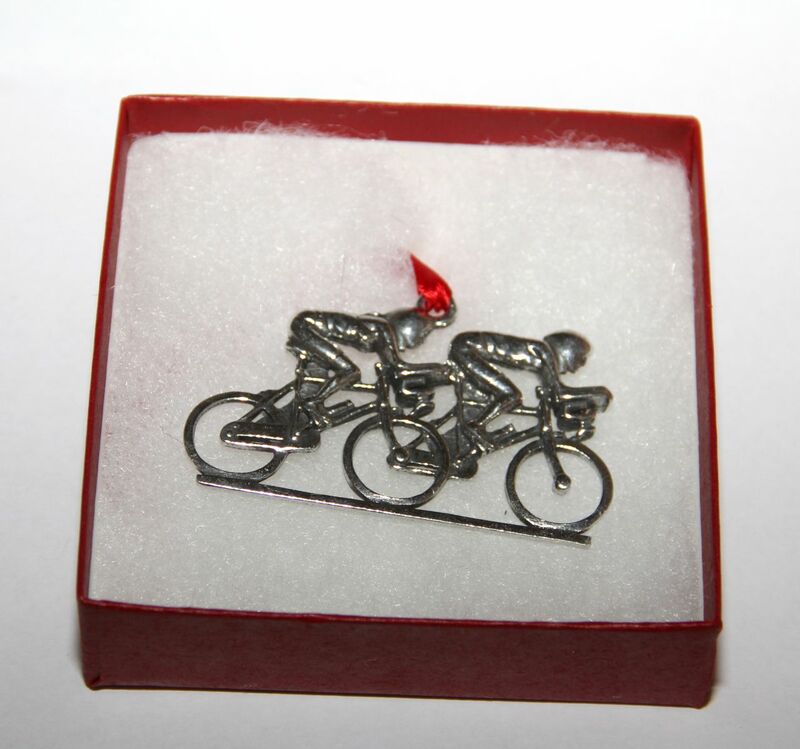 This beautifully hand-crafted pewter couple on a bicycle ornament will make an elegant addition to your holiday tree or a great gift for your favorite cycling couple, significant cycling other or a friend! Incredible detail, from the handlebars to the outline of the shorts and jersey to the ponytail underneath the helmet to the water bottle! Designed by artist and cyclist, Dana Paige. 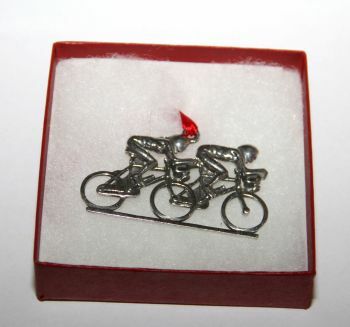 Actual size of pewter ornament is 2.5" x 2.5"